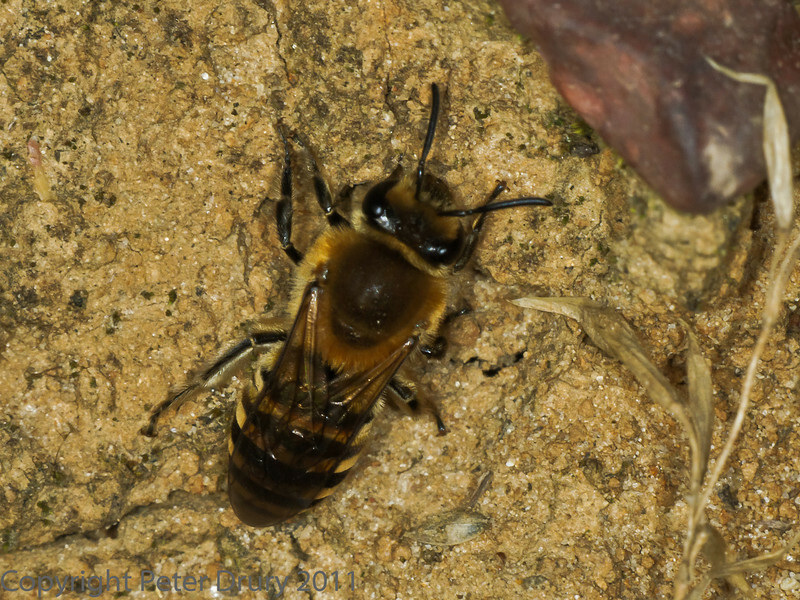 This Bee was new to science when discovered in 1993 in southern Europe. A fact sheet can be found here. . The bees seen here are females, creating burrows in the sandy soil to make pods in which their eggs are laid individually. The bees then place pollen and seal the burrows. They are only seen as adults when the Ivy (its sole food source) is in flower. This is usually between September and early winter by which time the adults die.